The eclipse will start sometime in the fourth quarter. If you’re someone who loves unpredictability and chaos at sporting events, you may want to watch this year’s AFC Championship game between the New England Patriots and Kansas City Chiefs. The folks on Reddit’s NFL page noted that not only will Sunday night’s game be played under a full moon, but it’ll be under a total lunar eclipse. Looking through previous NFL championship games, no conference championship or Super Bowl has been played under a total eclipse. A partial lunar eclipse took place during Super Bowl XXXIII when the Broncos beat the Falcons, but that was only seen in Antarctica. This will be a total eclipse seen in North and South America, so those in Arrowhead Stadium will be able to at least see the start of the eclipse. Starting at 8:36 PM CT, the eclipse will begin around the middle of the fourth quarter. The total eclipse isn’t supposed to start until 10:41 CT, so the game will be over before we really see its effects. If you miss this eclipse, you’ll have to wait a couple years. The next total lunar eclipse will take place in May of 2021, but to view that, you’ll have to travel to an island in the Pacific Ocean. The next total eclipse that will be seen over most of North America will be in May of 2022.
Who will benefit from this eclipse? 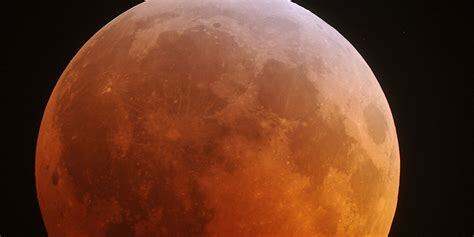 One interesting connection is that a total lunar eclipse took place during Game 4 of the 2004 World Series. In that game, the Boston Red Sox broke their 86 year curse and finally won the World Series. But before you start thinking there’s a Boston connection and put all your money on the Patriots, keep in mind that Game 4 took place in St. Louis, Missouri, the same state that the AFC Championship Game will be played in. Maybe the eclipse can cause the Chiefs to break their own 49 year drought and go back to the Super Bowl.